This ultra versatile cotton duck collection creates a clean foundation that complements any decorating style. 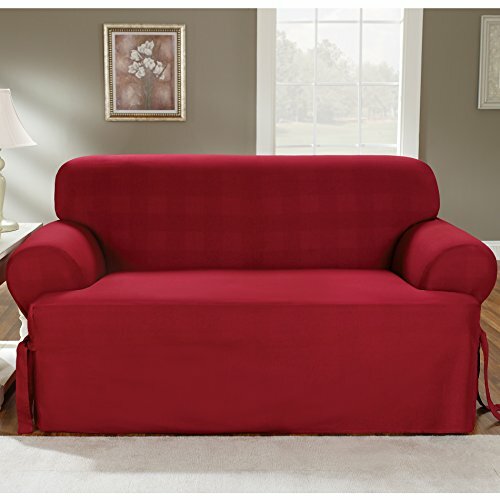 This crisp, pure cotton loveseat slipcover have a relaxed and easy going fit. Made of 100-percent cotton. Machine wash separately in cold water, gentle cycle, tumble dry low and remove promptly. Do not use bleach. Warm iron as needed. Available in claret color.